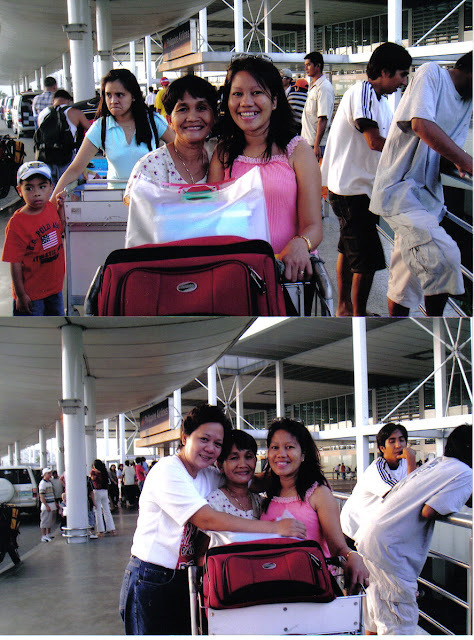 Photos with my Mom and cousin at the the airport when I left my former country in May of 2005. With the holiday season not too far off, chances are you will have additional opportunity to spend time with your parents. In an episode of Tell Me More from NPR News, the hosts suggest this is the time to have important conversations with your aging parents. If it has been a while since you last saw them, their appearance and other aspects of their well-being will be easier for you to hone in on. Asking parents directly whether or not they could use additional help might yield truthful answers. But in many cases, parents could benefit from receiving additional help long before they are ready to ask for it. Your job as the child of an aging parent is to keep an eye out for your parents. But what are the red flags that your parents could use additional help or home care? Here are 4 signs to watch for. 1. A lack of taking care of his or her appearance. This point has less to do with natural signs of aging, and more to do with upkeep and personal hygiene. For example, unwashed hair, unpleasant body odor, unclipped nails, wearing stained clothing, etc. If your parent has stopped taking care of his or her personal appearance, this could be a sign of withdrawal, or a sign of forgetfulness. It could also mean your parent feels his or her appearance is low on the priority list. Energy levels can quickly decline from one day to the next, so it could be your parent may be fine one day, but may need help with basic tasks the next. 2. Not getting around to household chores. An obvious sign that a parent could use additional help is if chores around the house begin to get neglected. For example, the floors are left unswept, laundry has been left unwashed, the fridge has not been cleaned in a while. If there is spoiled food in the fridge and few whole foods, fruits, or vegetables, this should also raise an alert. Your parent's diet is what will keep him or healthy, and a poor diet could exacerbate aging symptoms. A large stack of unopened mail is also a concerning sign. The state of your parent's house is a quick way to get a pulse on whether your parent could use additional help. 3. Forgetfulness and signs of memory loss. Maybe your parent has always been forgetful… But has it seemed more pronounced of late? Does she have difficulty keeping track of the days of the week? Or does he or she lose track of the time? Has he had problems with utilities being turned off due to forgetting to make payments? Does she repeat herself or tell stories more often than usual? Does he forget to take medications? What about regular meals? As we age, our appetite often lessens, as we are less active, so we require a reduced calorie intake. But that does not mean your parent no longer needs the nutrients that a balanced meal would provide. Other concerning signs are if your parent has unexplained bruises on his or her body. If she or he cannot remember how they occurred, then it might be time to increase care. Additionally, take a look at the next sign for further on this point. 4. A decrease in physical mobility. Does your parent find it harder to move around? Does she falter when standing up or sitting down? Has he stopped going to the second floor? Does a little walk around the block wipe him out? Why are these signs of concern? When there is a physical decline in mobility, your parent may be more susceptible to falls. Which can cause a cascading effect that is hard to reverse. The house that your parents have lived in for twenty years, is likely not optimized for elderly living. And your parent could be suffering as a result. It might be time for a family discussion about downsizing to space that is optimized for elderly living. Over the holidays, if you begin to see decline in one or more of the above areas, it's time to get additional help. If your parent is already displaying some of these signs, do not be alarmed. Signs of aging will happen to everyone eventually. What is most important is providing help at the right time. And in a manner that is easy for parents to receive while not infringing on their desire to remain in control. My mom passed away two years ago and my dad is now 84. He's in very good health, but I'm always looking for signs that he needs extra care. Thanks so much for sharing these tips on what to look for. These are great tips. My dad passed away almost 5 years ago but my mom is still thriving. I always keep a close eye on her. It is so hard seeing an older relative need more care, when once they were so full of life. My mom passed away 5 years ago, and thankfully my dad is in great health for his age (75). However I have a dear friend whose mom is declining, and she's wondering if it's time to get her some help. I'll have to share this with her. I think we can see those signs once they slow down physically and mentally. We should be observant so the can get the help needed. This is a good post. My siblings and I are starting to have these conversations about our own parents so we will be prepared. This is so important to watch for these signs. My Nana Jo is 96 but luckily was in a retirement home when she started to have signs of Alzheimers. She's getting the care she needs there now. These are important things to keep in mind. As parents get older, they require more care and attention. It's important to be prepared to help them! My mom is already showing these signs, except the one about the house being unkept. She's up to the point of going to the grocery store and then forgetting why she went there in the first place. Thank you for this reminder. I hope we can find someone to stay with my mom to help her around. Your photo with your mom is priceless. I had my parent's come over for 6 months and it was one of the happiest time of my life. They are my precious jewel and I can't imagine life without them. I pray to God to give them healthy body and healthy mind to enjoy their remaining time on Earth. These are such important things to look out for. I will have to keep these red flags in mind moving forward. It is so important to watch for the signs your parents need some extra help. My parents would never ask for extra help. I had to bring it up and already have someone arranged for them to take it. These are good things for people to consider. It's probably easy to overlook some of the signs if you're not paying attention. My grandmother suffered from Alzheimer's and fortunately we Noticed signs and were able to speak with her doctor regarding proper care. These are really great tips thanks for sharing. I love this article. I think we just believe we don't have to step in until they require full care, but there are times "extra care" is crucial to their wellbeing. I have been an extra caregiver to my grandmother and now am in that role for my father. it's important they still have independence, but there are things that become more and more difficult. I love the signs you have outlined. 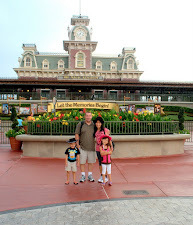 We moved to West Palm Beach and invited my mom to live with us. She was 70 when we left Minnesota and thought it was the right thing to do as a daughter! This post is spot on. So many of these factors are what helped us realize that my grandparents needed additional care. Thankfully we found a lovely lady who took great care of them in their later years. This post is about one of lifes truths. The holidays indeed are the best time to spend quality time with parents and make them feel that they are wanted. These are pretty sure signs. I know I will look out for my parents when the time comes! I love them!